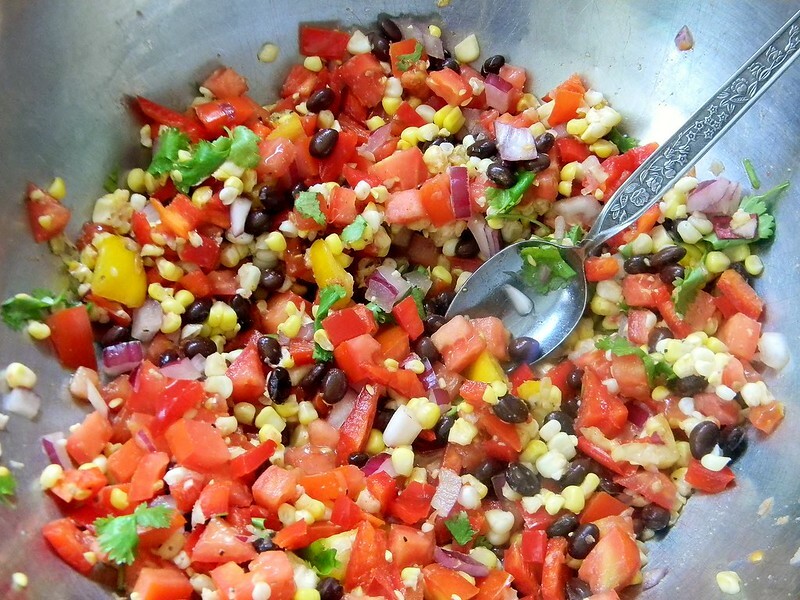 Black Bean and Corn Salsa #SundaySupper Unprocessed | What Smells So Good? Combine all the ingredients in a serving bowl and fold together gently with a spatula. You can serve this immediately, but I like it better after sitting at room temperature (covered) for an hour or so for the flavours to blend. Cover leftovers with plastic wrap and store in the fridge.